A blog, after all, is the beginning of a beautiful journey about meaningful content, your customer personas, and your passion for your business. Meaning comes from thoughtfulness and focus, and deep understanding of and interest in your customers. What is a 'Welcome Readers' Blog Article? The Welcome blog post article gets you focused on what your blog is about. It helps you confront what you will and won't address in your blog. It helps you get your thoughts together so your business blog isn't all over the content map. Ultimately, it focuses you. In so doing, you create an environment that truly welcomes readers to your blog. Think about it. How credible do you consider a blog on artisanal cheeses and wine pairings if it talks about dog grooming one day and cars the next? I would be wondering whether the business was legitimate, the person writing knowledgeable about wine and cheese, and how much I could trust what I was reading. Chances of my returning let alone even subscribing would be slim. 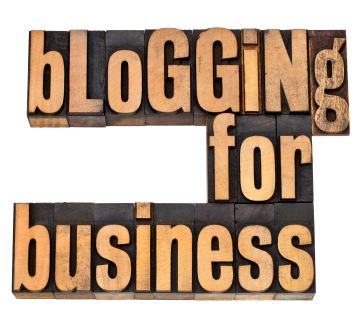 What makes an effective business blog? By its nature, a blog is more casual than the other sections of a website. It tends to be open to different perspectives. Because a blog includes the ability to leave comments, it often allows for conversation. In a real world setting, a blog might be the equivalent of sharing a latte with someone at a neighborhood coffee bar. You put forth ideas, receive feedback, perhaps even learn about new perspectives that your further develop when you next meet. It's done, though, within a business context. For that reason, a successful and effective business blog focuses on a set number of related "idea buckets" that are relevant to customer prospects or personas and have meaning for your business and how you can solve your prospects' challenges. Start with a Welcome Readers blog post! That's what makes the Welcome Readers blog article so effective! 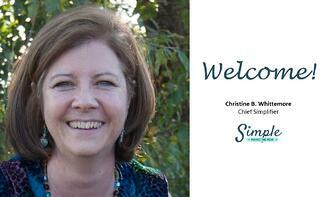 Think of the Welcome blog article as a means for you to express your blog strategy to your readers. It's the culimination of all of the prep work you did to ensure your business blog's success. Your 'Welcome Readers' blog article sets the stage for what's to come. The Welcome article represents an obvious starting point for your blog. Without the Welcome article, your readers don't have context for your blog musings. In the Welcome article, you get to set rules for engagement on your blog and expectations for interactions. "The point I want to add is that, having thought carefully about the above article, when you've written a Welcome posting; it will serve as much a guide and discipline about how to view, read & use your blog for you and your team, as it will any reader." Even though it may not be your most read article, by virtue of having published it, your blog has more credibility and reason for being. How to welcome readers to a blog and write a Welcome blog post? 1. Determine what the name of your business blog is. Is it the "company name blog" or does it have another name? This blog, for example, is The Content Talks Business Blog. I also have the Flooring the Consumer Blog and the Social Flooring Index Blog. 2. Identify the audience for your blog. 3. Explain what the blog is about, its purpose, how the blog title came about. You might want to explain what the impetus was for the blog, what its creation story is. If you have a tagline for your blog, you might explain its relevance to your business. 4. Go ahead and explain the connection to your business. It's a business blog. If your organization supports and encourages you and others in your business to spend time writing and publishing, it probably means that the blog has something to do with business. It's okay to explain that connection. 5. Detail the topics you plan to address. You want to identify enough topics that you won't run out of ideas to write about. Try to come up with six to eight 'buckets' or categories that aren't all about you and your business. Now, you don't need to go into each of those buckets in agonizing detail in your welcome blog article. However, you should try to paint a picture about how interesting and relevant your content will be. For this step, I recommend going analog. Find a really cool notebook and a pen that writes just the way you want it to. Then, go off somewhere where you won't be interrupted. Think narrowly and broadly about your business, your industry, the problems you solve and the things that get you really excited from those spaces. 6. Briefly introduce the voices readers can expect to hear from in upcoming blog articles. Some business blogs feature several different voices from an organization and others only one. Your Welcome post is an opportunity to introduce those voices to your readers. Are these the technology gurus of your organization? Or, the customer service ninjas who haven't yet met a question they can't answer. Let some personality and passion shine through in the process. Voice is what makes a business blog (or any blog for that matter) powerful. 7. This is the time to address the fine print. The Welcome Readers blog post is the perfect time to address the fine print. More specifically, what's off limits, whether your blog is the place to go for handling customer issues or not (if not, where should readers go? ), what rules of behavior you expect (which provides you with justification for not publishing or deleting objectionable comments), and how long it might take for you to respond to comments. 8. Don't forget the call to action! Then, when you come to the end of your Welcome article, you can close with a call to action inviting readers to read more, subscribe and definitely come back for more. One more step - if you intend to involve others from your organization, go ahead and develop social media guidelines for your team. If you've never done guidelines before, no worries! You'll find a wealth of examples online. This article will help you get started: How Do I Start With Social Media Guidelines? Your Turn to React to the Welcome Post! What's your reaction to creating a 'Welcome Readers' article? What would you add to this post and to your Welcome Post? Note: this blog article was originally published on June 19, 2014 and has been updated.